A little shock and awe accompanied Durango’s first snowstorm of the year. 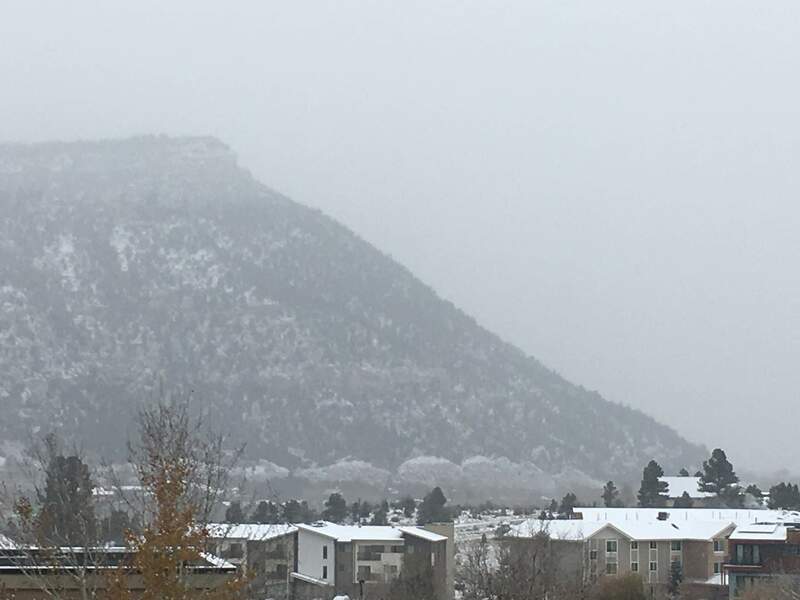 With little premonition of inclement weather in the forecast, a cold front dropped into Southwest Colorado early Monday, leaving up to an inch of snow in Durango – the first measurable snow of the year in town. The surprise snowstorm that came and went early Monday made for a slick morning commute for many Durango-area drivers, especially on North College Drive where multiple vehicles slid on a sheet of ice – some hitting other cars. Florida Road was backed up with bumper-to-bumper traffic Monday morning as drivers took extra precaution. 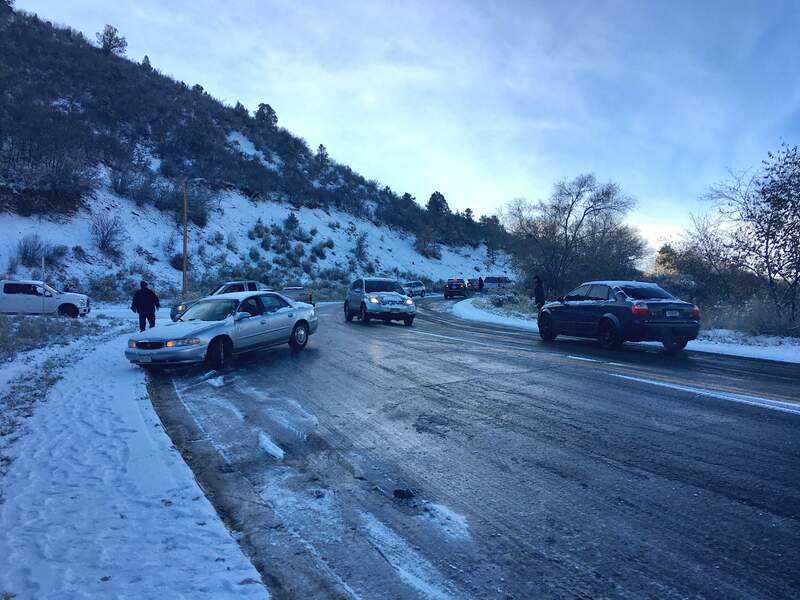 A semi truck slid across two lanes of traffic as two people ran to get out of its way on Goeglein Gulch Road. The front hill to Fort Lewis College closed for much of the morning. And it was a white-knuckle drive for drivers going up and coming down North College Drive, which was not plowed and not sanded as of 9 a.m. Many cars slid into curbs, spun their tires and crashed into other cars. The region’s ski mountains seem to have been stiff by the storm. Purgatory Resort reported no new snow in the past 24 hours, and Wolf Creek Ski Area reported just 3 inches of new snow. Gerald Schaerer, who has lived in Durango since 1966, said road conditions were “shocking.” He saw no snowplows, no sanders and few police officers. He cited three possible reasons for the no-show: The city has given City Manager Ron LeBlanc too many pay raises, and doesn’t have enough money to plow and sand streets; the city is punishing residents for refusing to pass Ballot Question 2A, which would have raised taxes for streets and infrastructure; or the city is just inept. Dwayne Valdez with S&R Affordable Towing said call volume was 50 percent higher than a typical Monday. The winter-like weather brought freezing temperatures. The high Monday was expected to be in the mid- to upper-30s with lows in the teens Monday night or early Tuesday. Temperatures will rebound with highs in the mid-50s by mid-week, and lows in the low 20s. An unexpected storm blew through Durango early Monday, icing over area roads, especially North College Drive, where numerous vehicles encountered problems going up and coming down the steep grade.